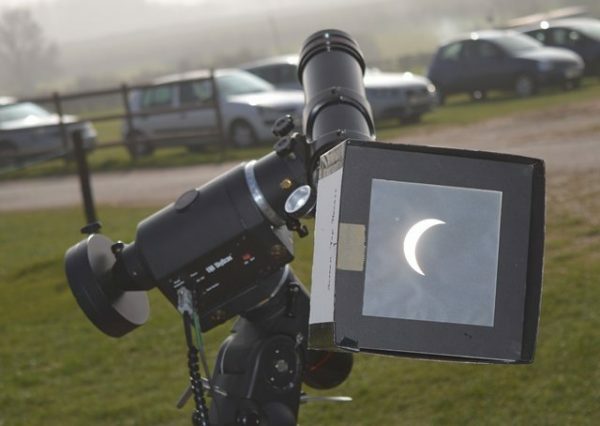 Staff at Sacrewell were up bright and early on 20 March to view the partial solar eclipse with Peterborough Astronomical Society (PAS). 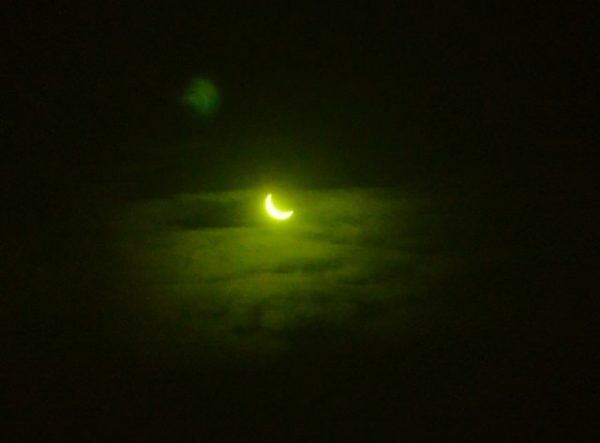 We’d initially thought it might be too cloudy to see much, but at about 8.15am, just before the eclipse started, the clouds disappeared and we had clear blue skies above the centre. 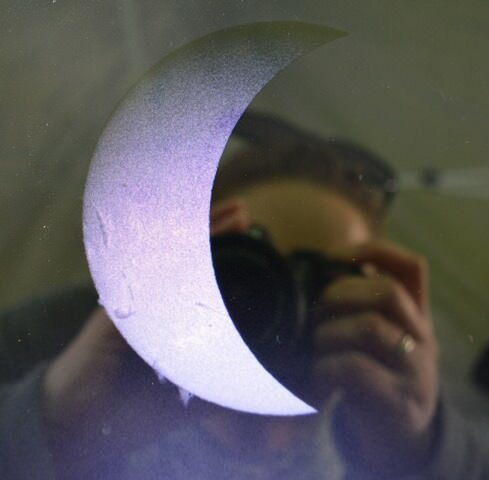 PAS had set up scopes with special lenses to view the sun through safely, and they even had high-tech equipment trained in on the sun to watch close-up footage of the eclipse. We watched in awe as about 90 per cent of the sun was covered, and although it didn’t get dark, the drop in temperature was obvious as we stood shivering and looking through specialist glass. Highlights of the event included seeing a black spot on the sun, caused by flares shooting out and cooling down (similar to a volcanic eruption), and seeing the flares themself.